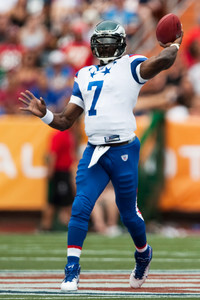 It appears more than ever that if the 2011 NFL season takes place, Michael Vick will be the starting QB for the Eagles. Today the club placed the franchise tag on Vick, giving them the ability to retain the Pro Bowl quarterback for at least another year. 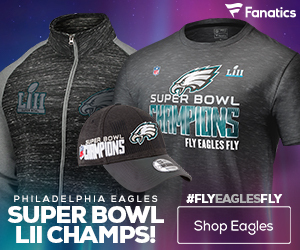 The team also placed the transition tag on Pro Bowl kicker David Akers, which would allow the Eagles to match any offers he receives if and when free agency begins. 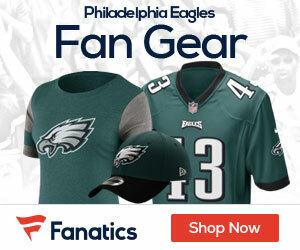 The franchise tag would pay Vick around $16 million, though the exact number is not yet clear. He made $3.75 million base salary last season and, according to the NFL Network, received a $1.9 million playing time bonus. The Eagles placed the “exclusive” franchise tag on Vick, meaning he can’t talk to other teams at all, though it may entitle him to a larger contract. Akers would make roughly $3 million under the transition tag, up from a $1.65 million base salary last season. The 30-year-old threw for 3,018 yards with 21 touchdowns and six interceptions last season to win the Associated Press Comeback Player of the Year Award after serving a federal prison sentence on a dog-fighting conviction.